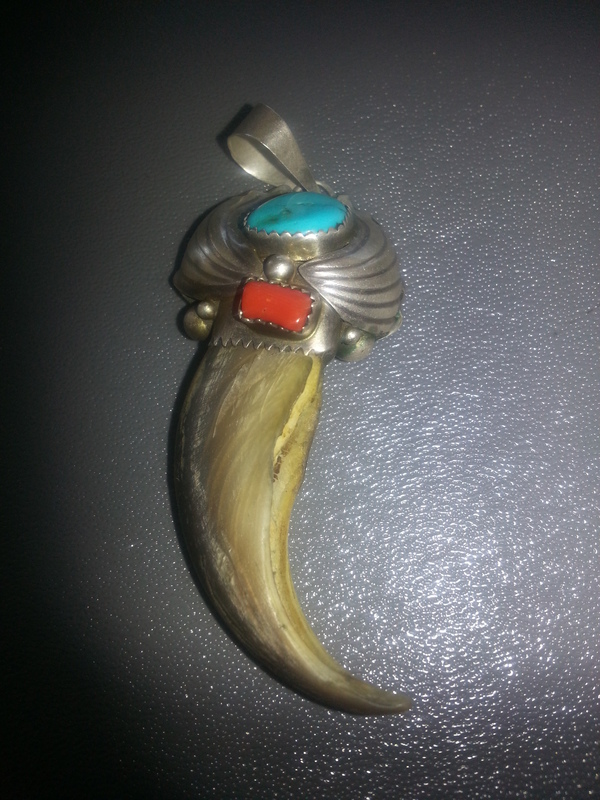 How do I preserve and protect my bear claw pendant? I have a hanging bear claw pendant. The exact same type as on your site. I received it as a gift. It is amazing. 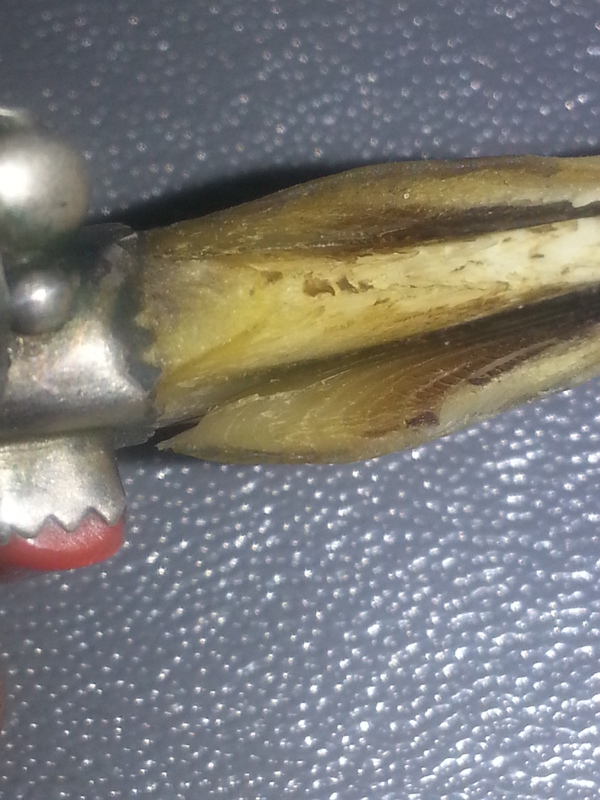 I have had for about a year though and the claw is drying out and cracking/chipping. What can I do to preserve/restore it? Thanks. 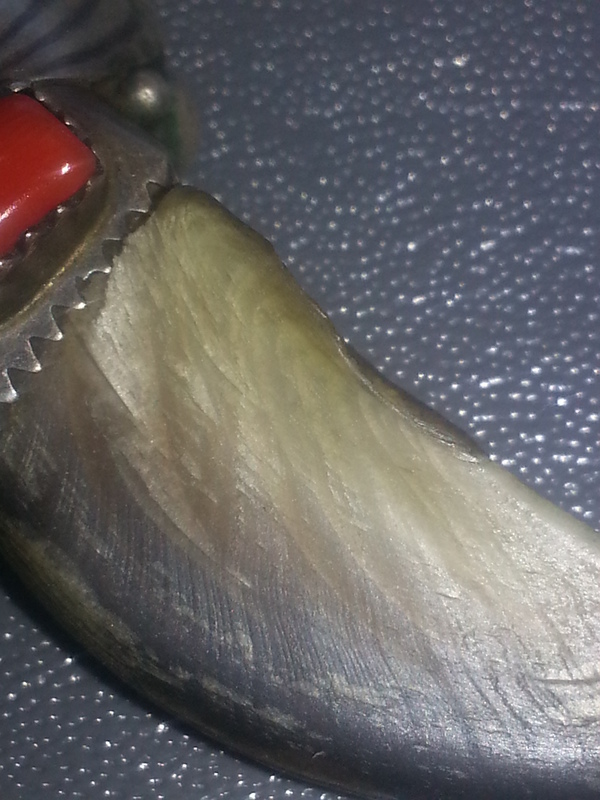 Your claw shows natural surface lines and texture which I think is appealing as is. If you think it is getting dry or brittle, however, and you think it might crack, you could consider applying a light, and I mean light, coat of hoof dressing to it. The tiniest dab rubbed in thoroughly. You could use a Q tip to get up into the crevices. Another substance you could use would be bag balm which is basically lanolin. Again, the tiniest amount and lots of rubbing. It is possible that Vaseline (petroleum jelly) might also work. Whatever substance you choose, use very little, rub it in thoroughly, then wipe it. You might want to do a few applications over several days before you get it to the state you want. 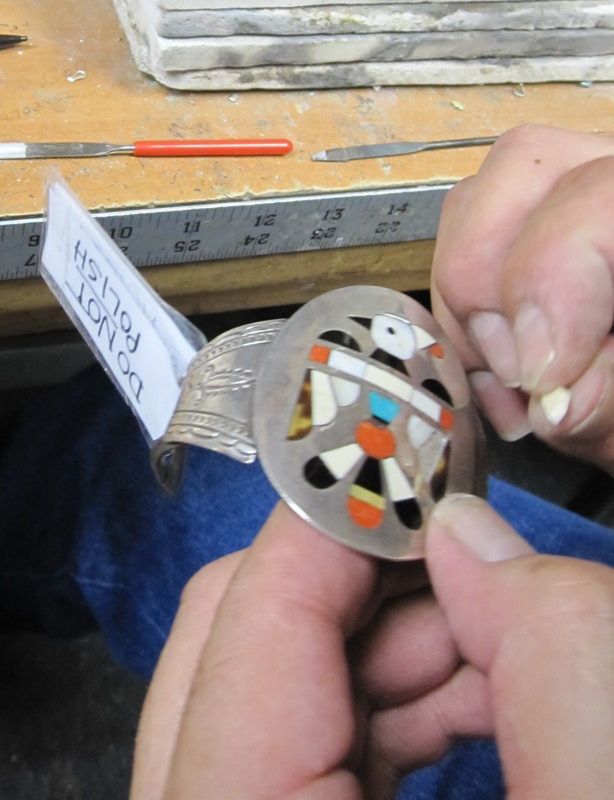 Some of the silversmiths buff and polish the claws and put a light layer of “clear coat” on the claws which protect them and make them shine. You could also use clear nail polish. But do realize if you choose this method of preservation, it will make the claw shiny and if you decide you don’t like it, you will have to use a solvent like nail polish remover to take it off……and that would further dry out the claw. So go down that path with caution. How do I get the artist’s name off the back of my collar? having any luck. Thank you. Whoops !! First of all, so sorry we missed removing the name from your collar. 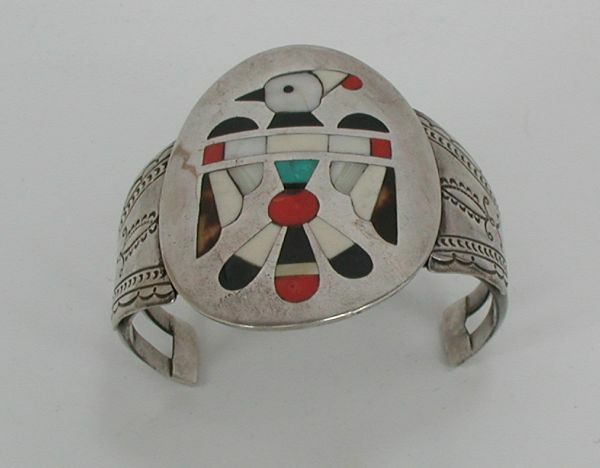 I know it must seem odd but it is normal operating procedure with Native American made jewelry to write the price and sometimes the artist’s name on the back of a pendant, bracelet, and in your case, a collar. Usually a black sharpie pen is used which is pretty hard to rub off. 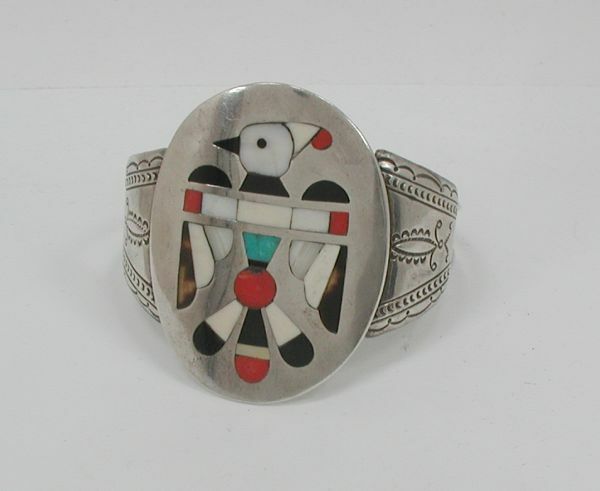 Some artists and sellers even put a small coat of clear nail polish on the sterling silver and then write on that and/or put a coat of clear nail polish over what they have written. Anyway, to make a long story short, here we use acetone or regular nail polish remover to take off the marker. You can also use non-acetone polish remover – it will still work but take a bit longer. Again sorry, that must have been during the holidays when we were wild people. We sell polishing cloths that can be used to restore and maintain the shine on your sterling silver jewelry. This enclosure that came with one of the cloths is a good reminder of what such cloths are designed to be used on…………and what they should NOT be used on.